The site was bought at auction, the previous owner having had an application for residential consent refused. 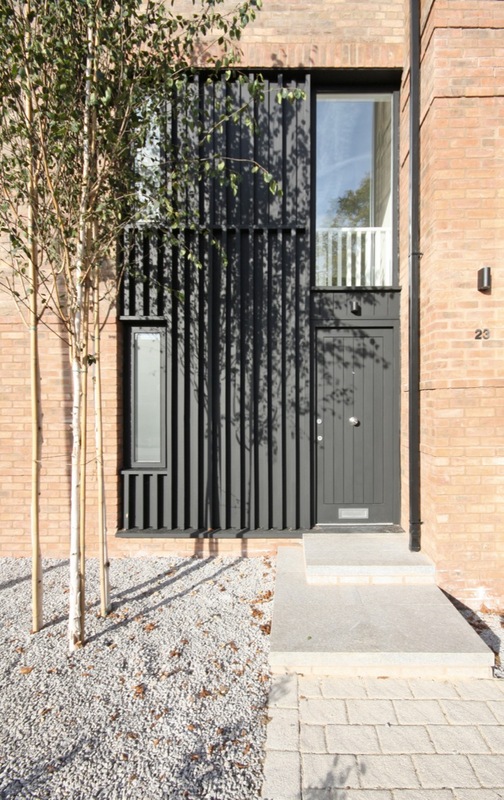 The planning brief demanded a design in keeping with the scale and massing of the existing streetscape, respected the privacy of a series of closely adjoining houses and gardens and the provision of parking within the curtilage of the site for two cars. 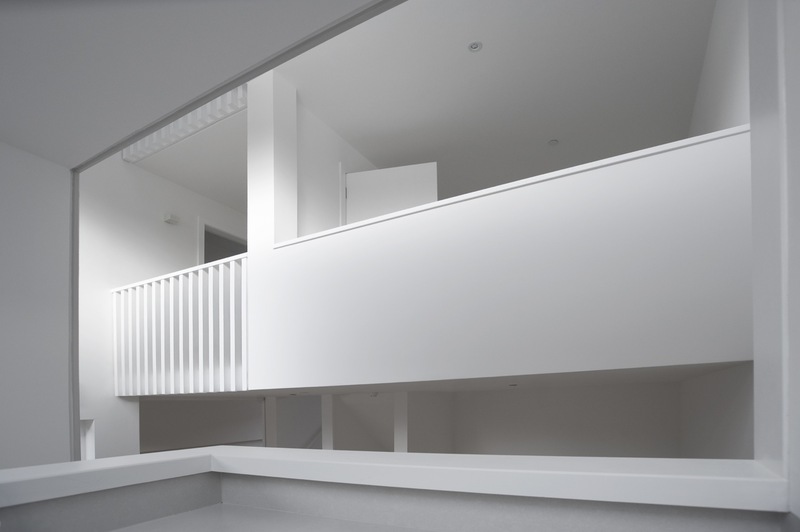 This requirement to provide on site parking reduced the available footprint on what is a relatively tight infill site and led to a decision to recess the building into the ground to maximise the available floorspace over a series of levels. 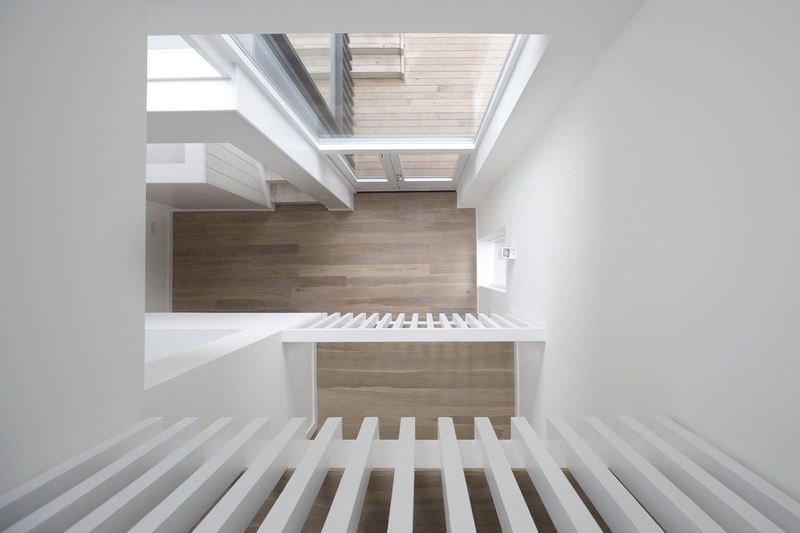 The result is a house arranged over seven different levels arranged around a central stair. Tying these levels together is a triple height volume to the rear of the house. 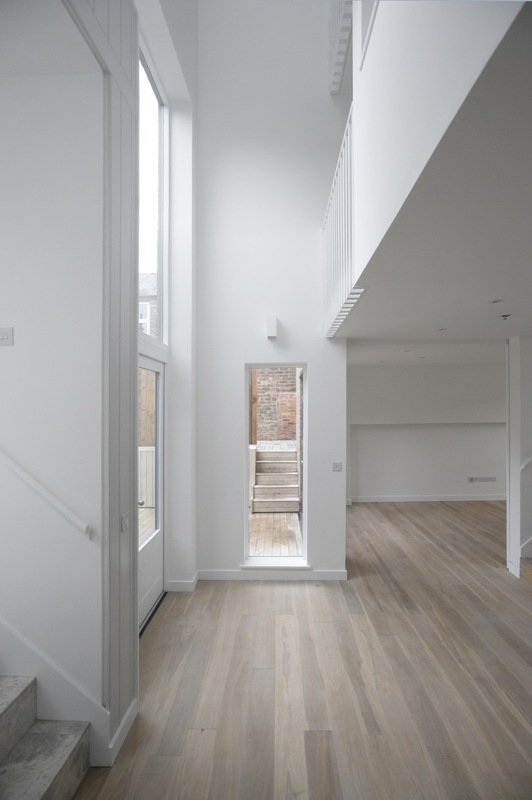 This volume connects the main living and dining areas at the rear, lower ground floor level to the study and bedroom accommodation above. 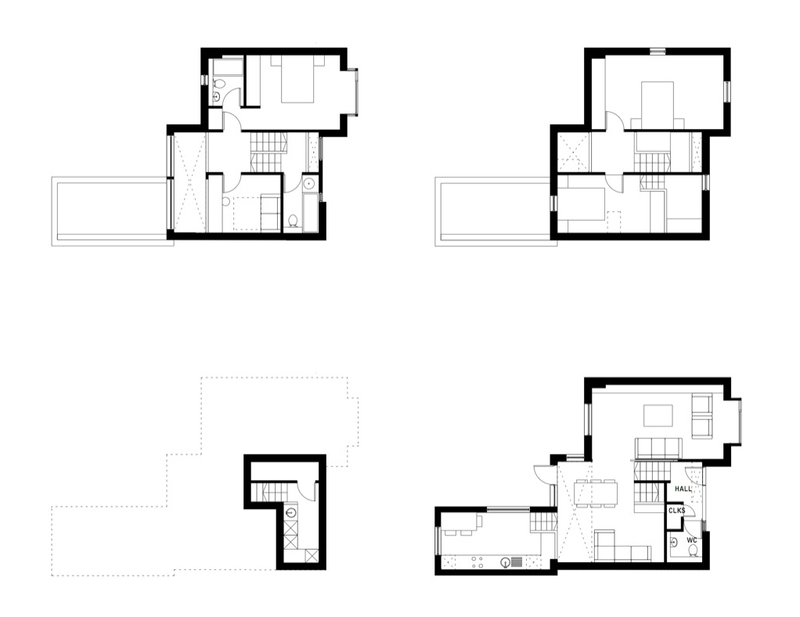 This volume sets the house apart from others and the usual and the expected sequence of spaces within the domestic setting. 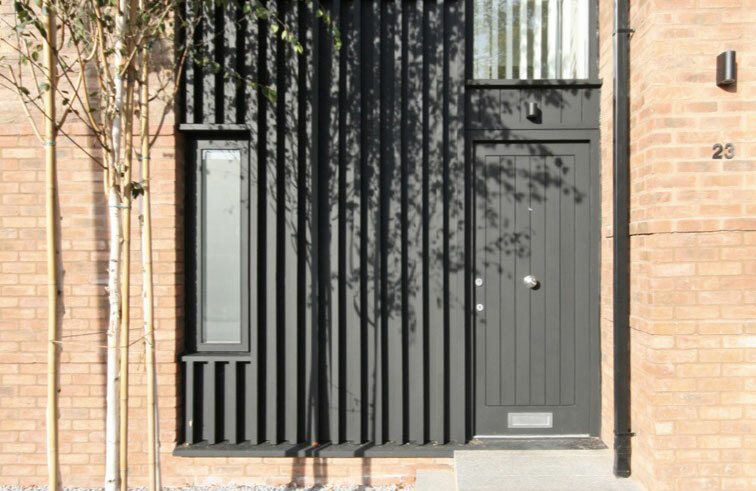 The front of the house takes cues from the end terraces to either side. The roof is pitched, matching the neighbouring arrangements and elevational detailing respects the vernacular in everything from window reveals to open soffits and exposed rafter ends. The bay front to the house and large timber panelling surrounding the front door, however, hint at something a little out of the ordinary might lie behind. 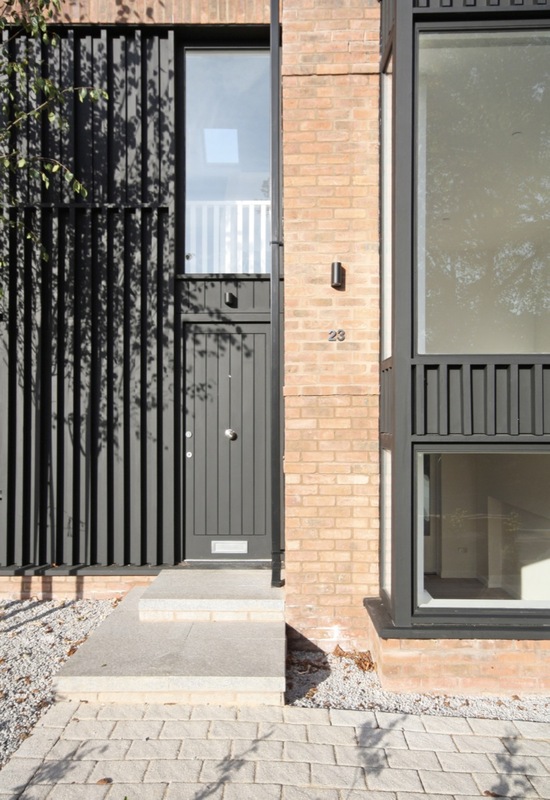 The ribbed timber expressed on the front of the building is carried through in internal detailing and projects at the rear in the form of the kitchen envelope. 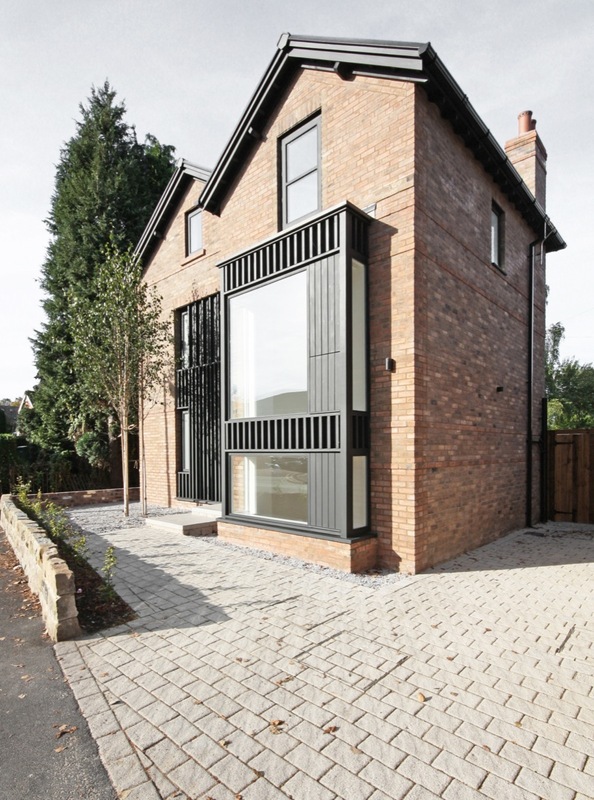 Glazing surrounds the point where the kitchen connects into the brick-built form and gives the impression the kitchen has been slotted into an existing structure. 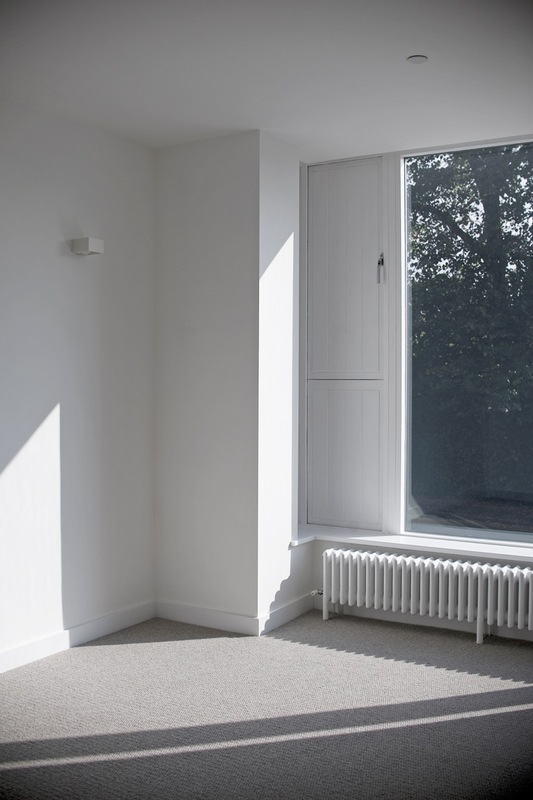 To the rear of the building large single panes of glass predominate at lower levels, making the most of drawing natural light deep into the plan. 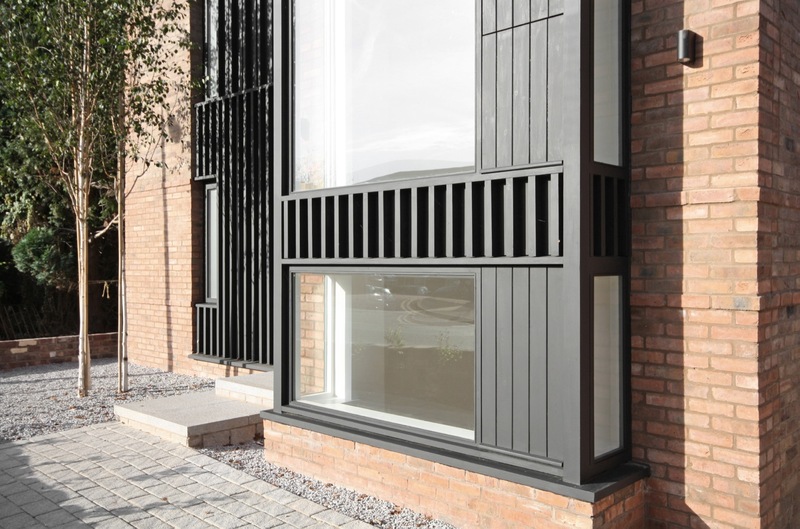 Opening vents are generally detailed as solid panels hidden in the timber cladding preventing the need to break up the large expanses of glass. 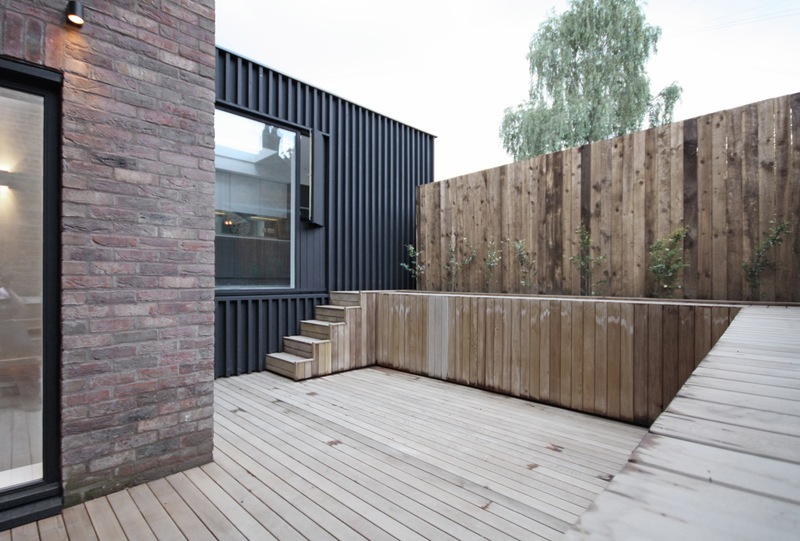 Two different external spaces have been created; a west facing, sunken, cedar clad courtyard that can be accessed from the living and dining room connecting to a south and west oriented lawned area to the rear of the kitchen. 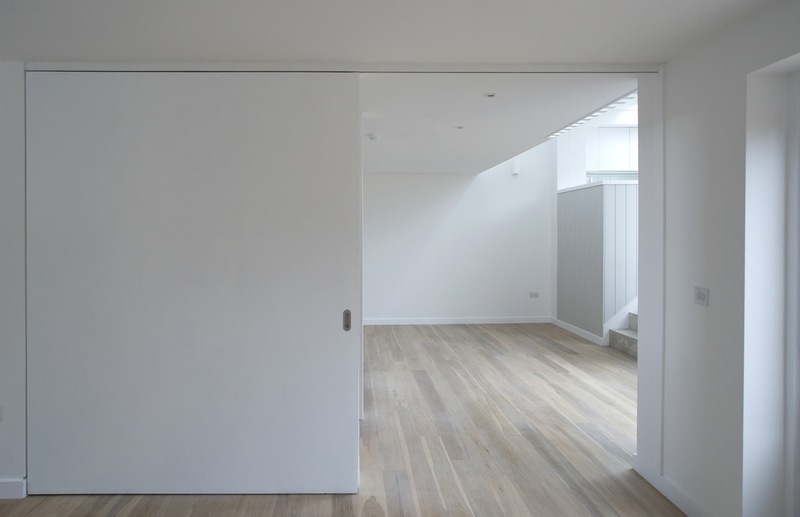 The aim was to deliver a family friendly house that respects and compliments it neighbours both in form and materiality. 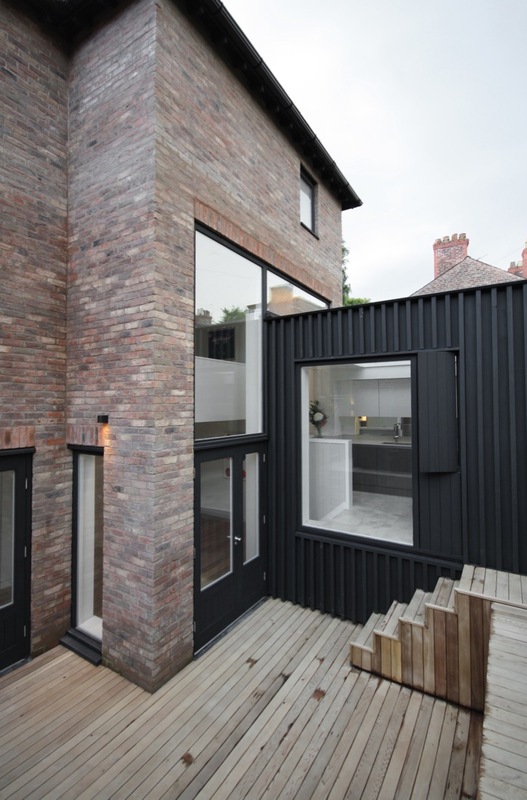 A house that delights and delivers a modern, light filled sequence of spaces, a house that makes the absolute most of a very constrained site.